The R&S®NRQ6 combines the accuracy of a power meter with excellent dynamic range. 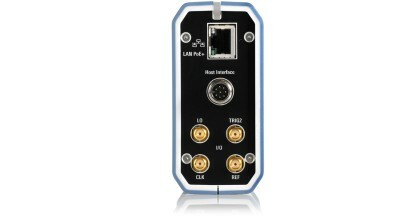 It performs extremely precise and fast power measurements down to –130 dBm. The R&S®NRQ6 is based on receiver technology and can perform band-limited power measurements - i.e. power measurements on a selected transmission channel - down to -130 dBm. The R&S®NRQ6 delivers high-precision, high-speed measurements beyond the limits of currently available power meters. In addition to conventional continuous average measurements, the R&S®NRQ6 has a trace display function and also performs ACLR measurements - a common mobile communications application. 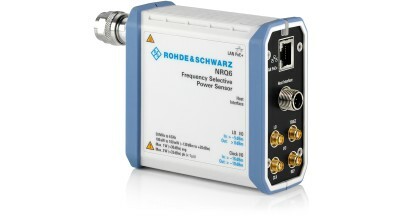 Using the optional R&S®NRQ6-K1 I/Q data interface, I/Q data can be downloaded from the power sensor to a PC for further analysis. Using additionally the R&S®NRQ6-K3 phase coherent measurements option, complex phase coherent measurements can be carried out by configuring one master R&S®NRQ6 and one or multiple slave R&S®NRQ6. 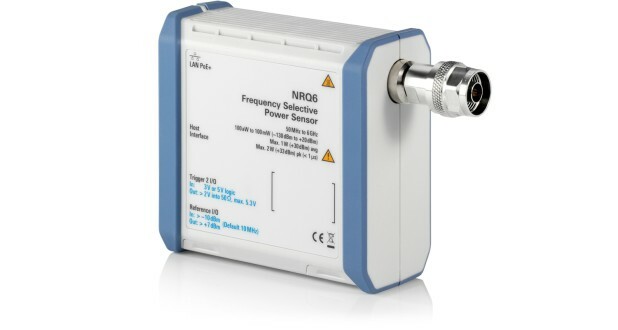 The R&S®NRQ6 is controlled via LAN, requiring power over Ethernet (PoE+). The sensor’s integrated web server makes it possible to operate the GUI without any extra software - all that is needed is a PC with a web browser. The intuitive GUI is well structured and easy to operate thanks to diverse autoset functions. 1) By default, the discrete RBW filter selection mode (1, 2, 3, 5, … steps) is active. Alternatively, steplessly variable RBW can be activated for RBW ≤ 20 MHz. The SNR in the variable RBW selection mode may be slightly lower than in the discrete RBW selection mode. 2) The sample rate is selected automatically. 3) This applies to resolution bandwidths ≤ 300 kHz. For larger RBWs, spurious frequency response contributions might violate these limits at certain RF input frequencies. In addition, RBWs using zero IF mode might violate these limits due to DC offset contributions. 4) Expanded uncertainty (k = 2) for absolute continuous average power measurements on CW signals centered within RBWs ≤ 10 MHz. 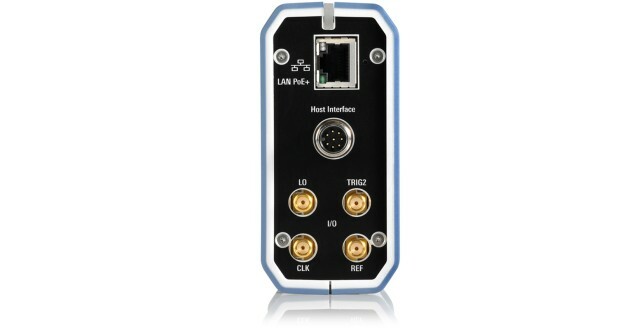 Specifications include calibration uncertainty, aging, linearity and temperature effect. 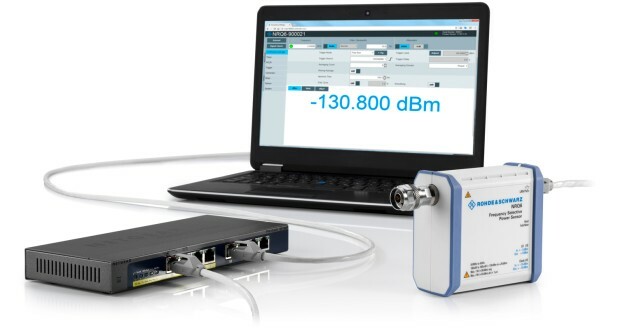 Measurement noise must additionally be taken into account when measuring low powers. The contribution of measurement noise can be neglected below a two-sigma value of 0.01 dB. For signal power levels less than 30 dB above the DANL at the selected RBW, a measurement bias must additionally be taken into account. 5) Expanded uncertainty (k = 2) for relative power measurements on CW signals of identical frequency in continuous average mode for RBW ≤ 10 MHz. Specifications include aging and temperature effect. Measurement noise must additionally be taken into account.